Styled with jenna skirt , dorothy coat and continental 80 shoes . 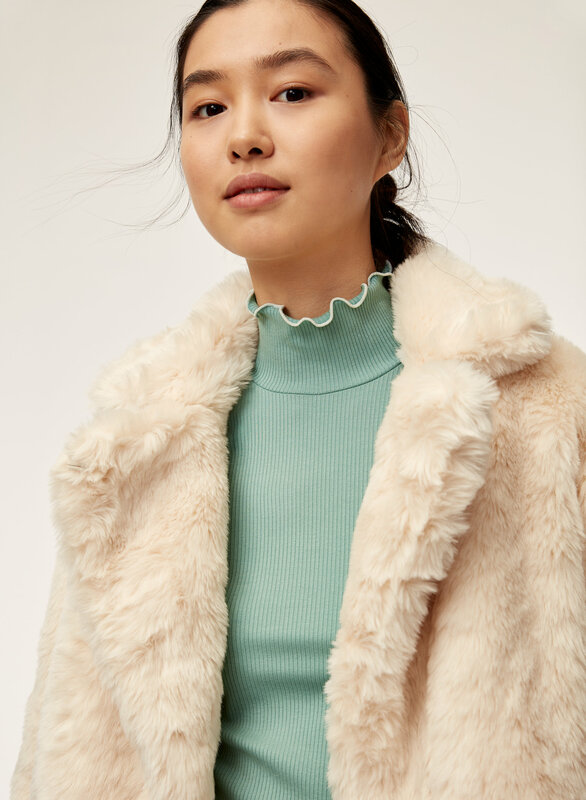 The classic turtleneck, updated with lettuce-edge detailing at the cuffs and hem. The Charlie is cut from a sleek fabric that glides against your skin. 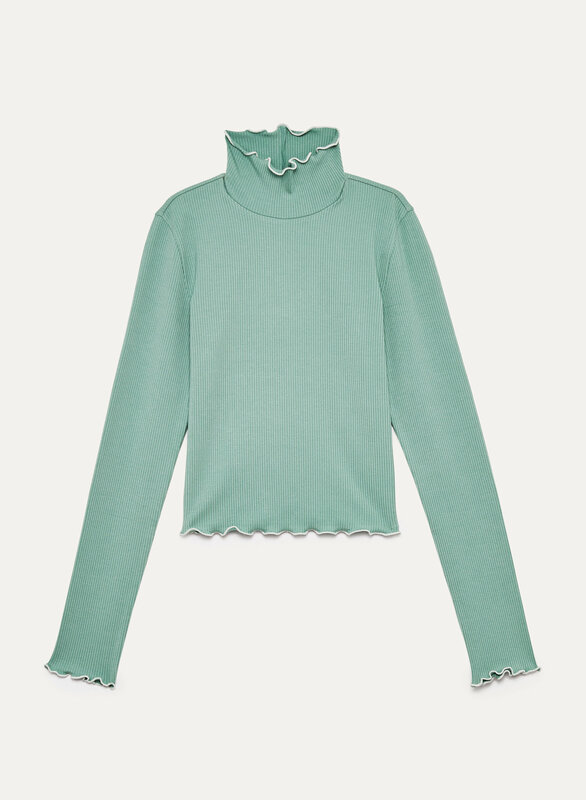 This top has such a beautiful color, amazing quality, and adorable frill detailing. I'm usually an xs but when I received this shirt, it was very very tight and short. It looked as if I tried to squeeze into a child's shirt. I would highly recommend ordering this shirt one size up!! !